As FBI director in 2002, Special Counsel Robert Mueller directed his agents to oppose the pardons of four wrongfully imprisoned men because exculpatory evidence was merely “fodder for cross-examination,” newly revealed FBI documents show. Four years later, the four men, or their estates, were awarded $102 million by a federal judge in Boston for their wrongful decades-long imprisonment due to FBI misconduct. Mueller ordered the Boston FBI office to answer a request to him from the Massachusetts Advisory Board of Pardons for an “official version” of the imprisonment of the four men for a gangland murder in Chelsea MA in March 1965. 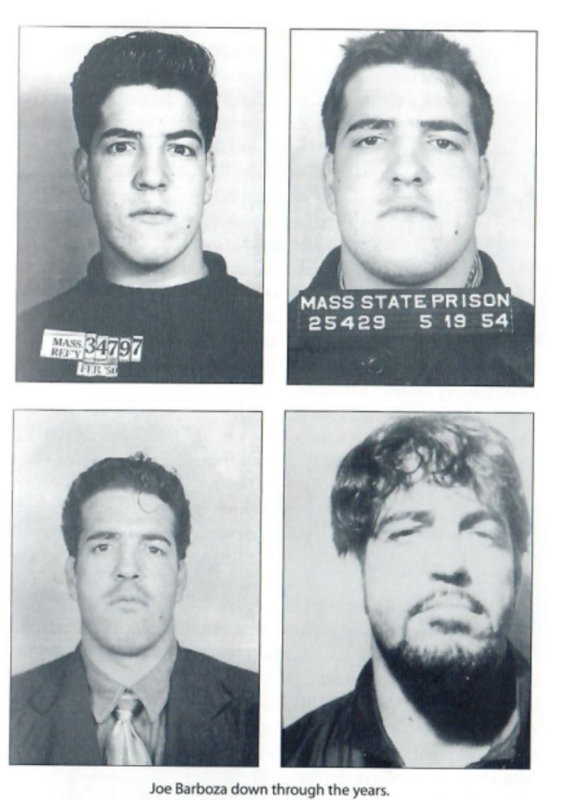 The four men – Louie Greco, Henry Tameleo, Peter Limone and Joe Salvati – were convicted in state court in Boston of murdering Edward “Teddy” Deegan, a small-time hoodlum, in an alley during a bank burglary. In 2002, lawyers for one of the innocent men, Louie Greco, were seeking a posthumous pardon for him from the state of Massachusetts. Greco, a decorated World War II veteran, had been living in Florida at the time of the murder, but was nevertheless convicted on Barboza’s perjured testimony. 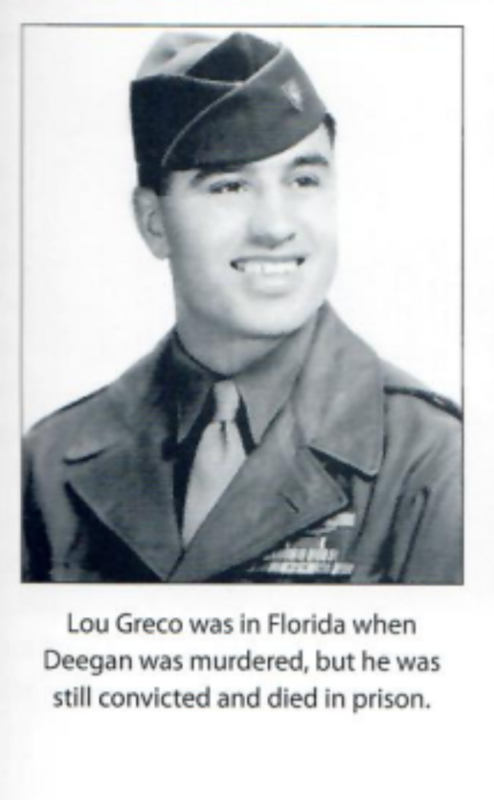 Greco died in 1995 after serving 28 years in prison for a crime he did not commit. For 35 years, the FBI refused to release the evidence exonerating the wrongfully imprisoned men on the grounds of “national security.” It was finally released in 2000 as part of an investigation into corruption in the Boston office of the FBI. While conceding that the damning FBI reports contained “impeachment material,” Mueller’s FBI still contended that the innocent men might in fact be guilty, despite the FBI’s own reports to the contrary. Deegan was murdered on March 12, and the FBI office sent memos to Bureau headquarters in Washington on March 15 and March 19 identifying the real killers – and with no mention of the four men who later won the $102 million judgment. Mueller, however, tried to convince the Massachusetts authorities that his own Bureau’s documents did not mean that the four men had been railroaded. Prouty did not mention the fact that Greco had moved from Boston to Florida before the murder. Mueller’s agent also did not point out that the siblings of victim Deegan, who had grown up in Boston’s West End with Limone, had earlier written the state parole board in support of Limone’s release. The Deegan siblings told the Parole Board that Limone had warned his childhood friend Deegan to be careful because of the murder contract out on him. Michael Albano, a former member of the MA parole board and one-time mayor of Springfield, worked for years to free the innocent men. This newly rediscovered letter is the latest indication of Mueller’s role in what may have been the FBI’s greatest scandal ever, at least until the current Spygate controversy which has led to Mueller’s ongoing “investigation” of President Trump. In Boston, the four men were always widely known to be innocent. 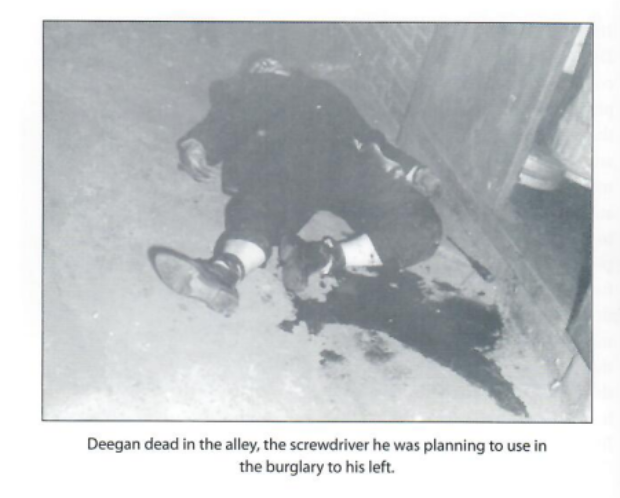 As early as 1973, a Mafia turncoat wrote in a local best-selling book how they were framed by the FBI and its star Mob informant, hitman Joe “the Animal” Barboza, one of the actual killers of Deegan. Barboza had turned against the local Mafia, and decided to put several of their members and associates into the Deegan murder plot, while protecting a friend of his, another serial killer named Jimmy “the Bear” Flemmi. One of the men Barboza fingered, Joe Salvati, had drawn the wrath of the Animal by refusing to contribute $300 to his bail fund. So Barboza testified that Salvati was in the front seat of the car the killers used on the hit. The problem was, witnesses had seen the man in the front seat – he was bald, like Jimmy Flemmi. So Barboza said that Salvati had been wearing a “bald wig” that night. Mueller was an assistant US attorney in Boston in the 1980’s as the imprisoned men futilely tried to get their convictions overturned. Greco passed a lie detector test on live national TV. But the FBI was adamant that they should remain behind bars. Mueller served briefly as US attorney in Boston in 1986-87. Both his predecessor and his successor as US attorney wrote letters to state authorities demanding that the innocent men not be released. Albano, the former parole board member, has said that he has seen a similar letter written by Mueller during his brief stint as US attorney. But that letter, if it ever existed, appears to have disappeared from state files. Nancy Gertner, the now-retired federal judge who presided over the civil case for damages that ended with the $102 million award, then wrote an op-ed piece in The New York Times accusing Dershowitz and Fox News host Sean Hannity, among others, of “smearing” Mueller. However, in December 2006, during the civil trial, Judge Gertner wrote a show-cause order accusing Mueller of stonewalling production of exculpatory evidence – “a serious problem,” she wrote. In other words, Robert Mueller III. And so Mueller avoided being cited for contempt for court. During the 1980’s, in addition to the annual letters from the US attorney in Boston, local FBI agents lobbied state authorities to keep the innocent men behind bars. According to Albano and others, two local G-men would go directly to the State House to lobby members of the Governor’s Council, which considered commutations and pardons. Another former member of the Governor’s Council recalled how the two agents liked to speak directly to the politicians, rather than leave behind a paper trail. The two FBI agents were John Morris and John “Zip” Connolly. Morris has since admitted taking $7,000 in payoffs from gangster Whitey Bulger and his partner Stevie Flemmi, the younger brother of “the Bear,” who actually murdered Deegan in 1965. Both Flemmi and Bulger, whose brother was the Democrat president of the Massachusetts state Senate, were longtime “top-echelon” informants of the FBI. Flemmi has testified to the Drug Enforcement Administration that he and Bulger at one time had six Boston G-men on their underworld payroll. Both Flemmi and Bulger are serving life sentences in federal prison; Bulger was convicted of 11 murders and Flemmi of five. At Bulger’s 2013 trial, Morris admitted telling Connolly about a gangster who was about to flip and testify against Bulger in 1981. Connolly, despite being a mid-life student at Harvard at the time, got the message to Bulger, and the gangland chieftain gunned down the informant and another man in South Boston. Connolly, the Harvard man, is currently serving a 40-year sentence in a Florida prison after being convicted of orchestrating a different gangland hit in Miami, to cover up still another organized-crime murder, at a golf course in Tulsa OK.
That Oklahoma murder was set up by a third corrupt Boston FBI agent, H. Paul Rico, who was one of the two agents who engineered the frame up of the four innocent men back in 1965. Rico died in a prison hospital in Tulsa in 2003 after being arrested in Florida and brought back to the Sooner state to stand trial on murder charges. Asked for a statement about the 2002 letter Mueller authorized to be sent to the Advisory Board of Pardons, Mueller’s office on Friday declined comment. But after receiving the letter from Mueller, the Board rejected the family’s petition in July 2003. Finally, in the waning days of his administration in December 2014, Gov. Deval Patrick issued a proclamation laying out the facts of the corrupt frame up by the FBI and Greco’s innocence. Greco had been dead 19 years. He spent the last 28 years of his life in prison for a crime he did not commit – a fact Robert Mueller knew but adamantly refused to acknowledge even after Greco’s death behind bars.